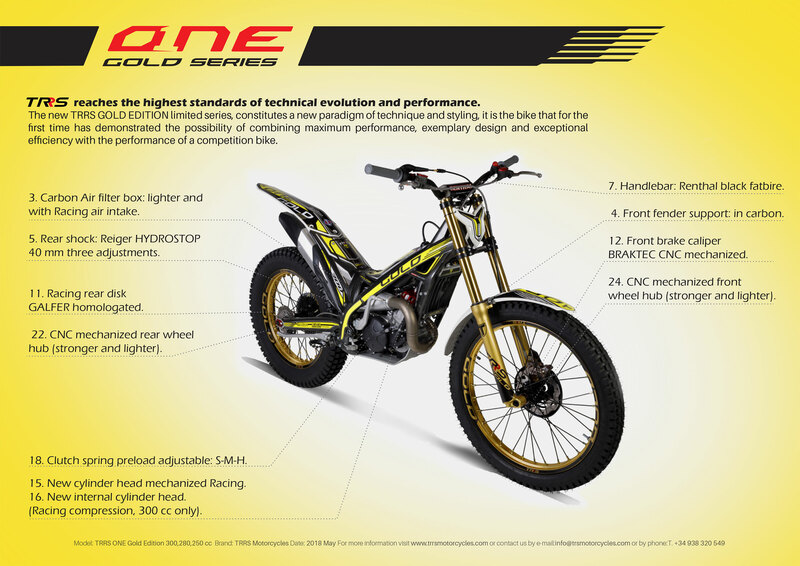 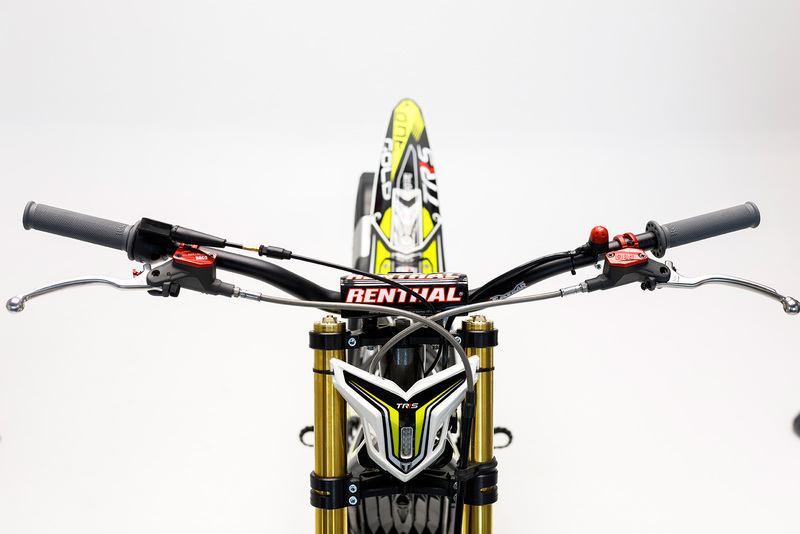 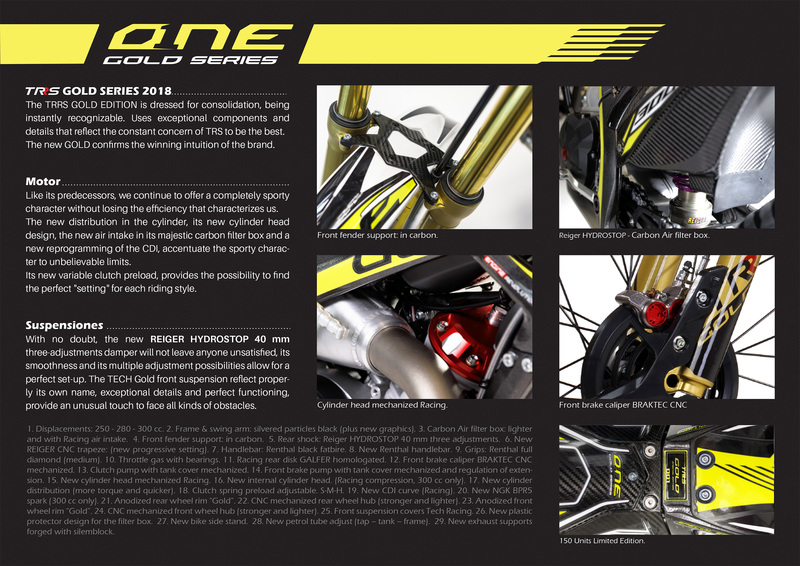 The new TRRS GOLD EDITION limited series, constitutes a new paradigm of technique and styling, it is the bike that for the first time has demonstrated the possibility of combining maximum performance, exemplary design and exceptional efficiency with the performance of a competition bike. 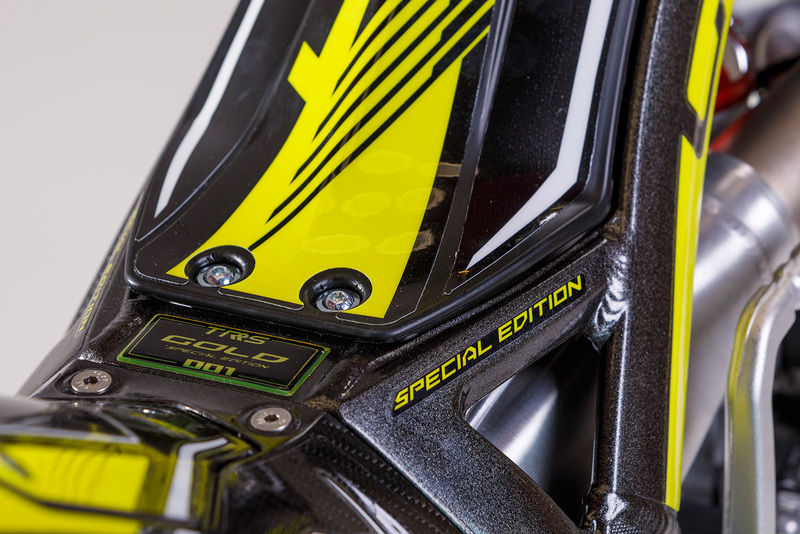 The TRRS GOLD EDITION is dressed for consolidation, being instantly recognizable. 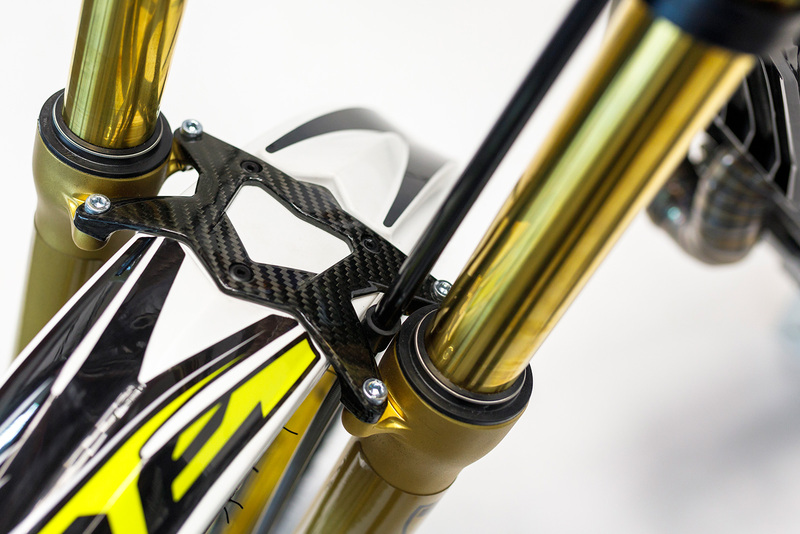 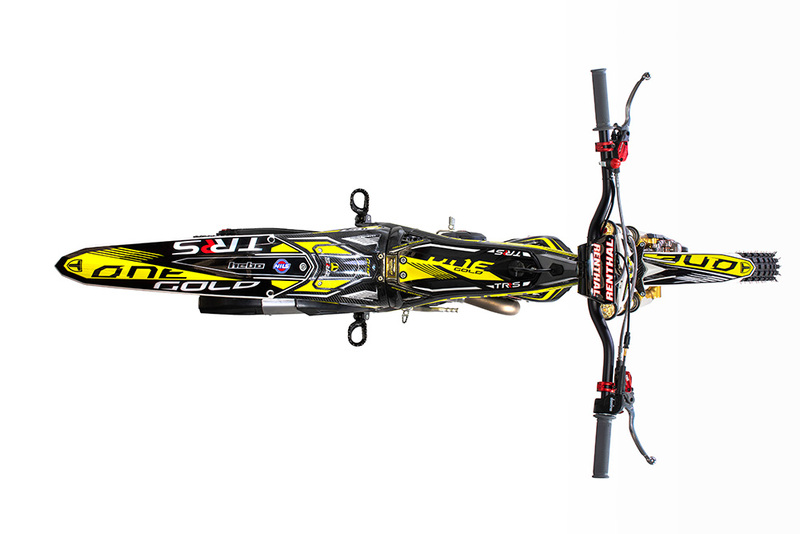 Uses exceptional components and details that reflect the constant concern of TRS to be the best. 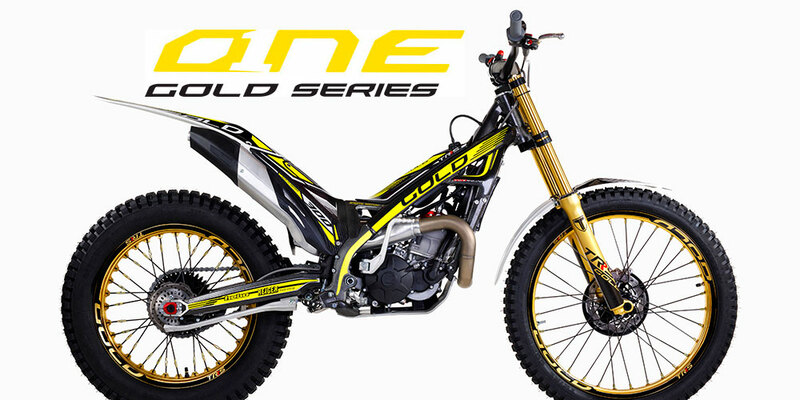 The new GOLD confirms the winning intuition of the brand. 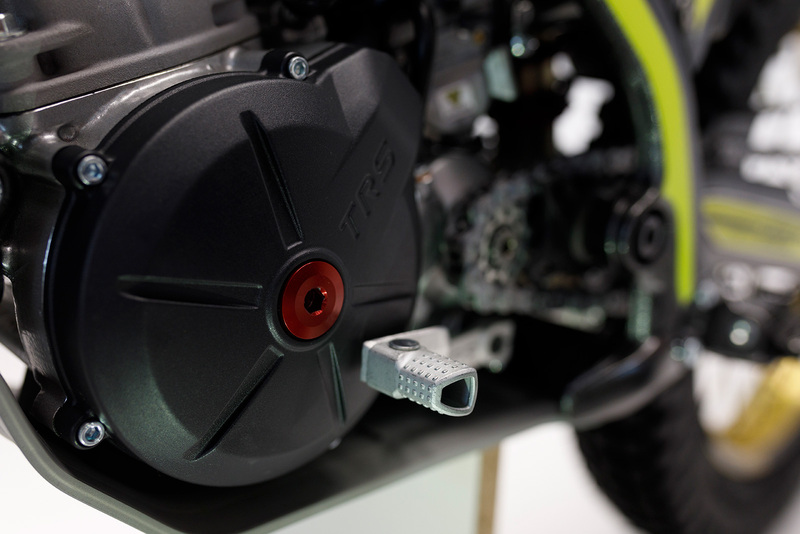 Like its predecessors, we continue to offer a completely sporty character without losing the efficiency that characterizes us. 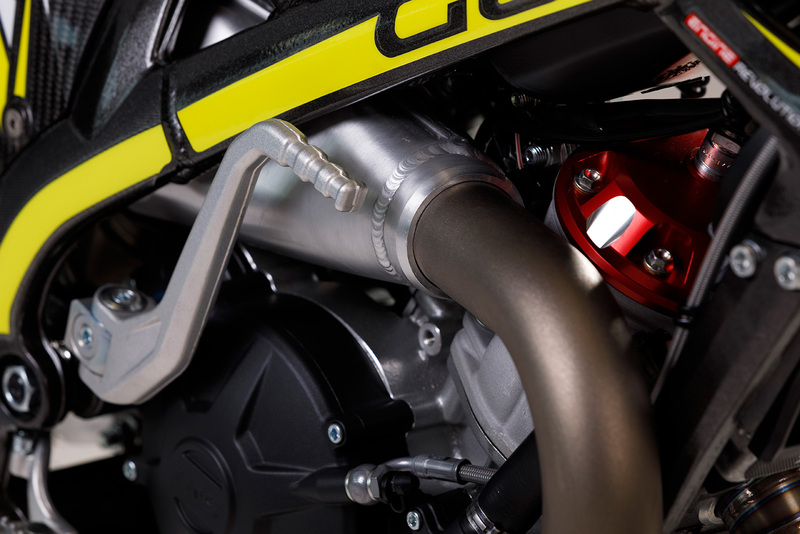 The new distribution in the cylinder, its new cylinder head design, the new air intake in its majestic carbon filter box and a new reprogramming of the CDI, accentuate the sporty character to unbelievable limits. 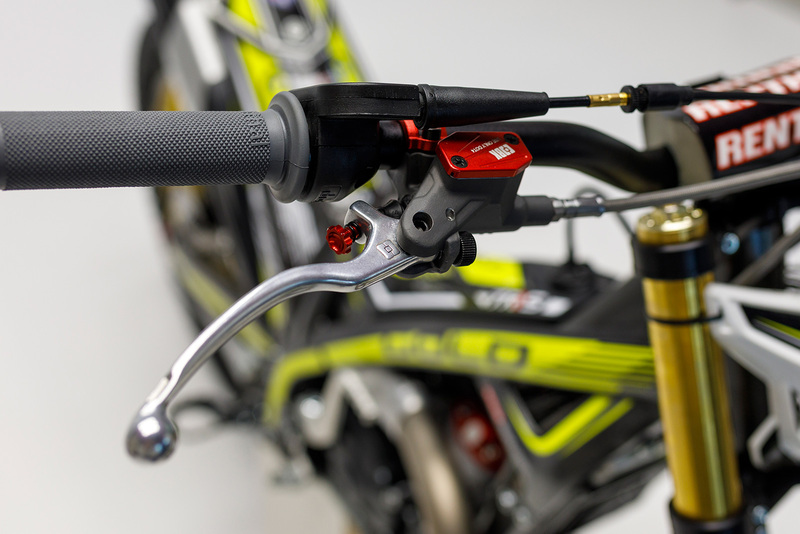 Its new variable clutch preload, provides the possibility to find the perfect “setting” for each riding style. 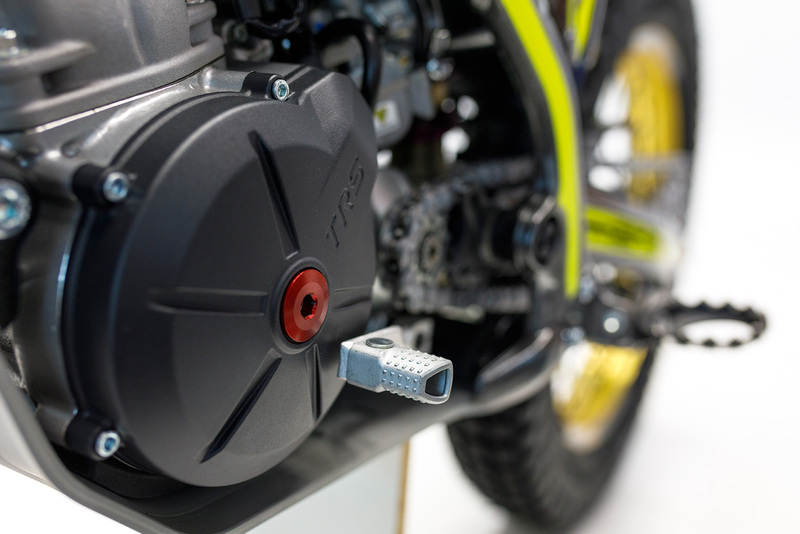 With no doubt, the new REIGER HYDROSTOP 40mm three-way damper will not leave anyone unsatisfied, its smoothness and its multiple adjustment possibilities allow for a perfect set-up. 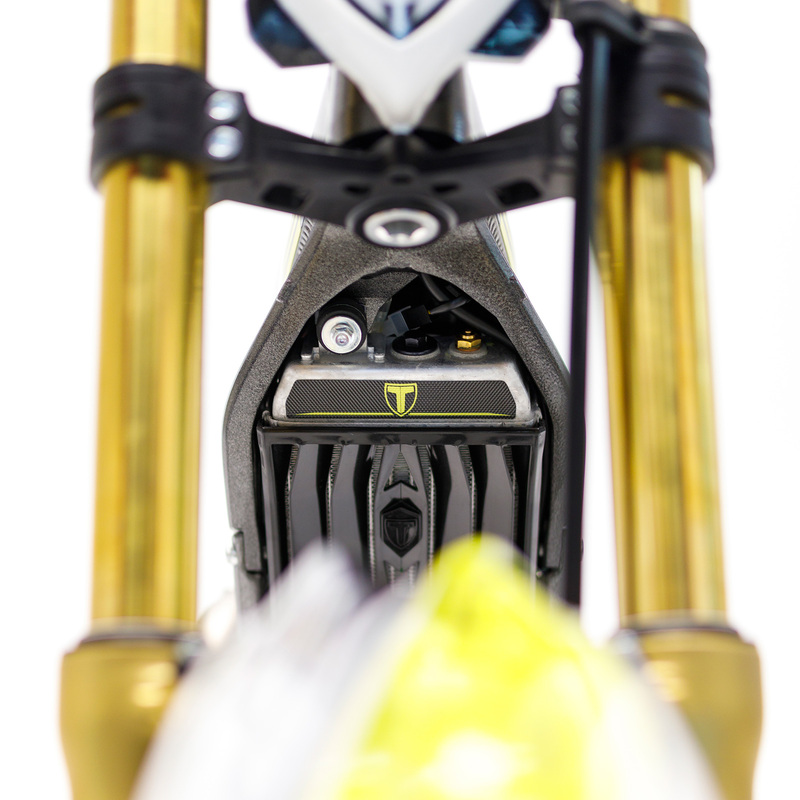 The TECH Gold front suspension reflect properly its own name, exceptional details and perfect functioning, provide an unusual touch to face all kinds of obstacles. 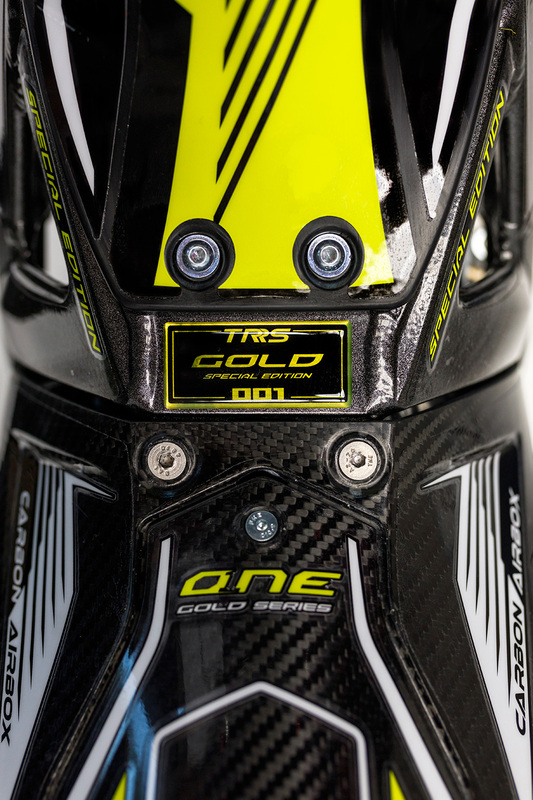 The TRRS GOLD is the most competent and high performance model on the ONE range. 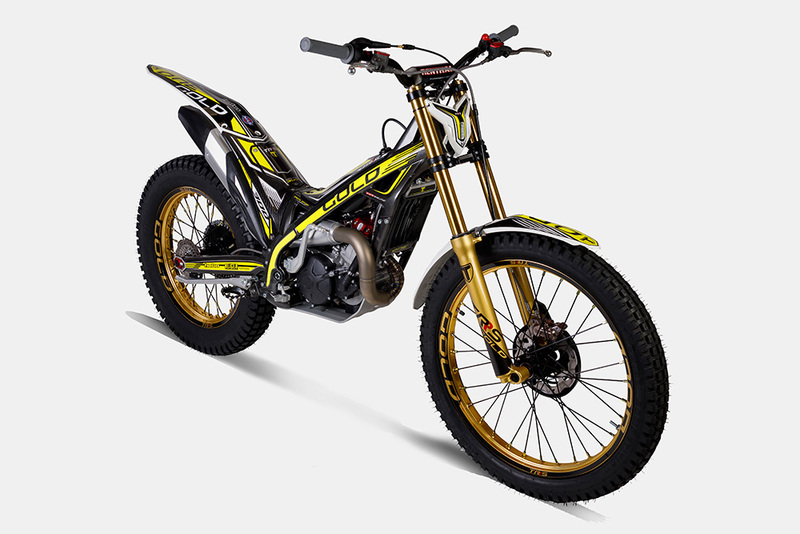 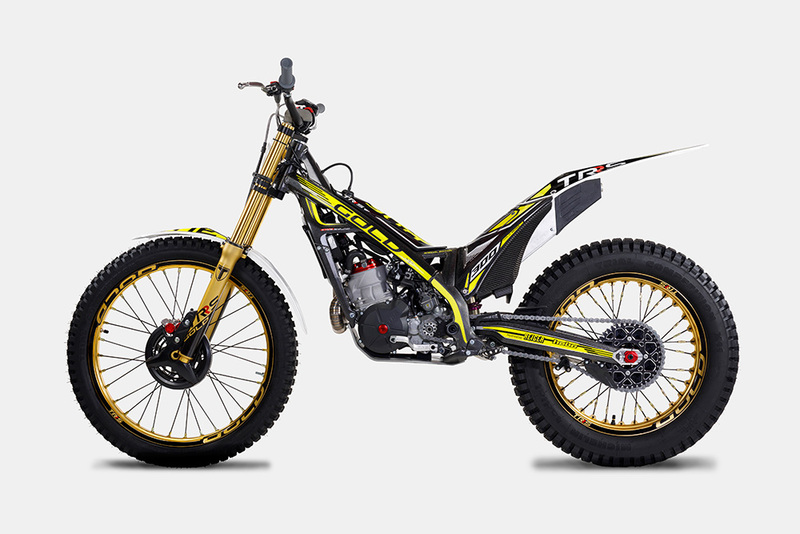 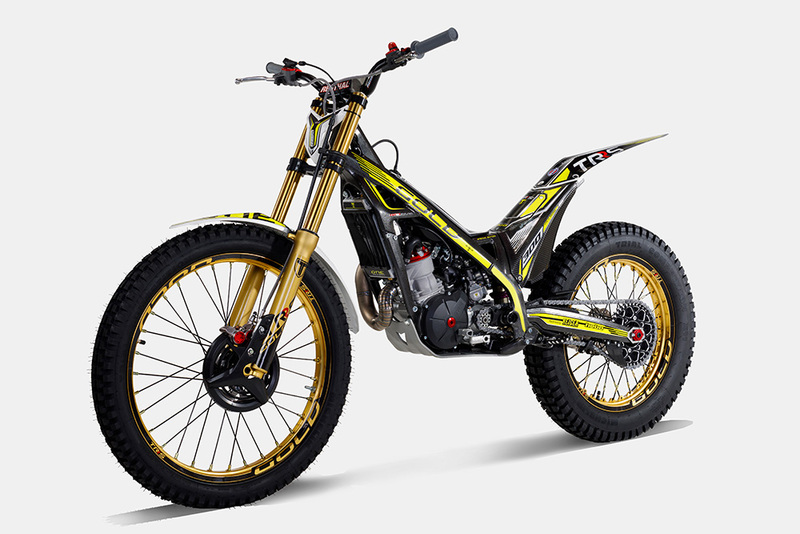 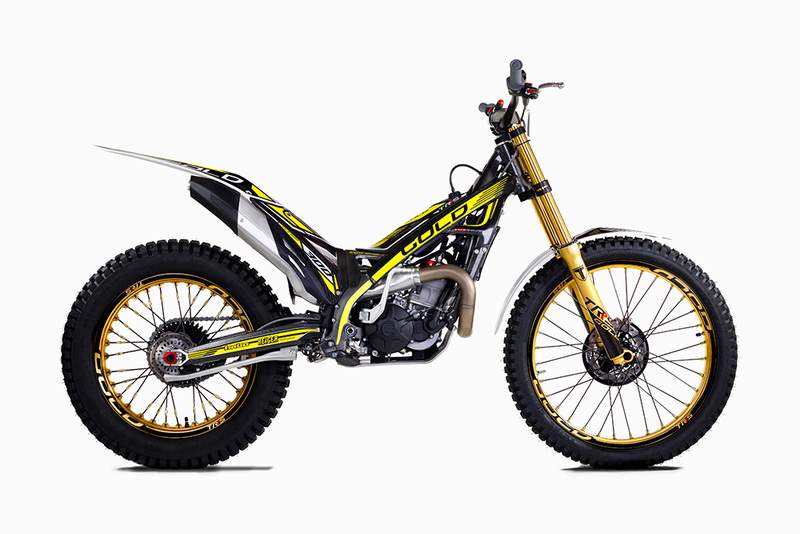 TRS will make 150 units of this new model Gold Edition with in the months of June and July, and will keep in catalogue its core model Raga Racing until the month of November, coinciding with the Milano Motorshow EICMA. The Company will make an upgrade of the model ONE in July and forecasts the launch of the new Xtrack for September/ October.